Update: Bell and Flower is now open for business in Chagrin Falls (86 N. Main St.). 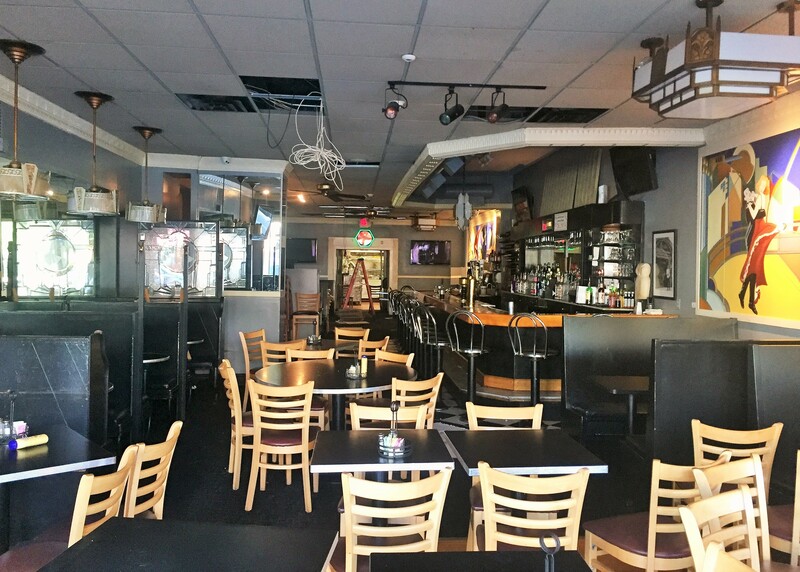 The restaurant, located in the former Rick's Cafe spot, is brought to you by Michael Schwartz and Shawn Monday, who also operate One Red Door, Flip Side and 3 Palms Pizzeria. Check out the full lunch and dinner menus here, and our story from last month below. Bell and Flower is open Monday through Saturday 11:30 a.m. to 10 p.m., with the bar closing at 11 p.m., and Sundays from 11:30 a.m. to 8 p.m., with the bar closing at 9. Expect brunch service to start next month. 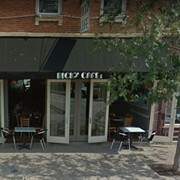 (Original story 3/21/2018): It’s been eight months since the iconic Rick’s Café closed its doors after 40 years of serving the Chagrin Falls community. 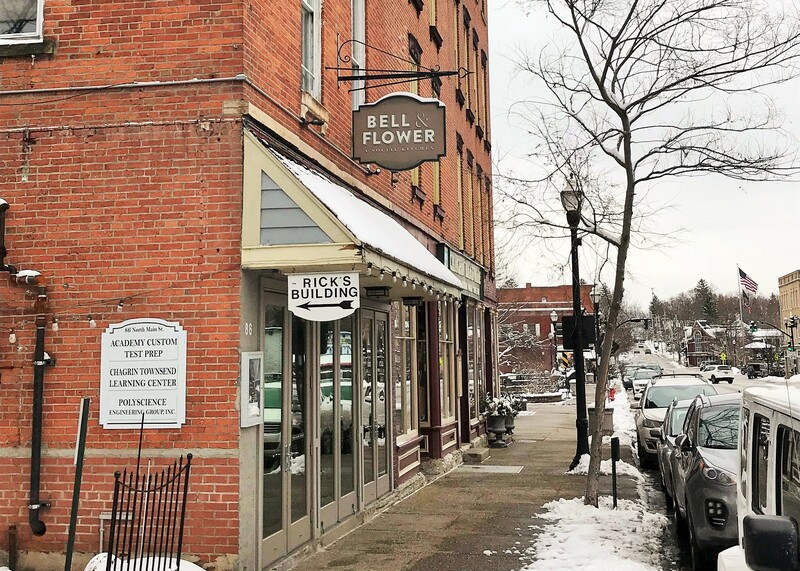 The restaurant was sold to partners Michael Schwartz and Shawn Monday, who planned a “quick turnaround” of the space in advance of unveiling Bell & Flower (86 N. Main St., 440-600-7755), a new concept. That quick turnaround more than doubled in time, but as one can see from the photos below, nary a surface was spared from the wrecking ball. 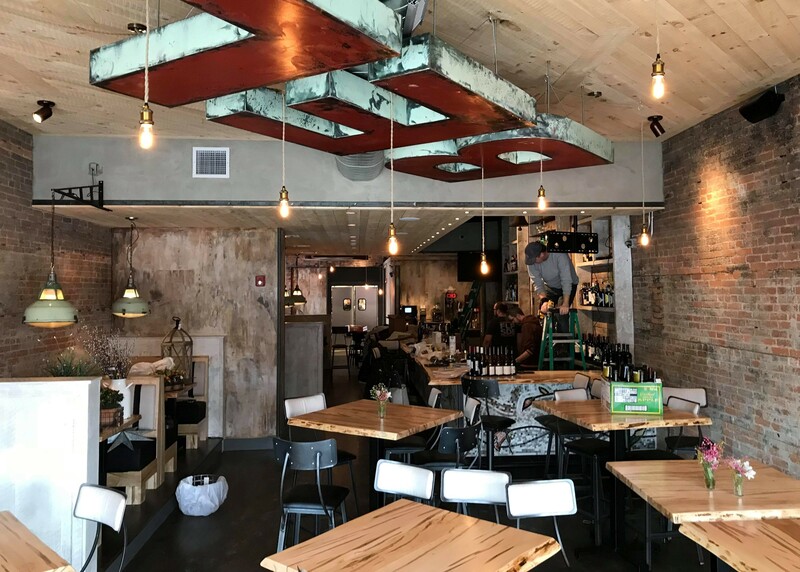 The team, which also operates the restaurants One Red Door, Flip Side Burger and 3 Palms Pizzeria, spent considerable time, money and effort revamping the dated interior to create a space that’s modern, uncluttered and functional. 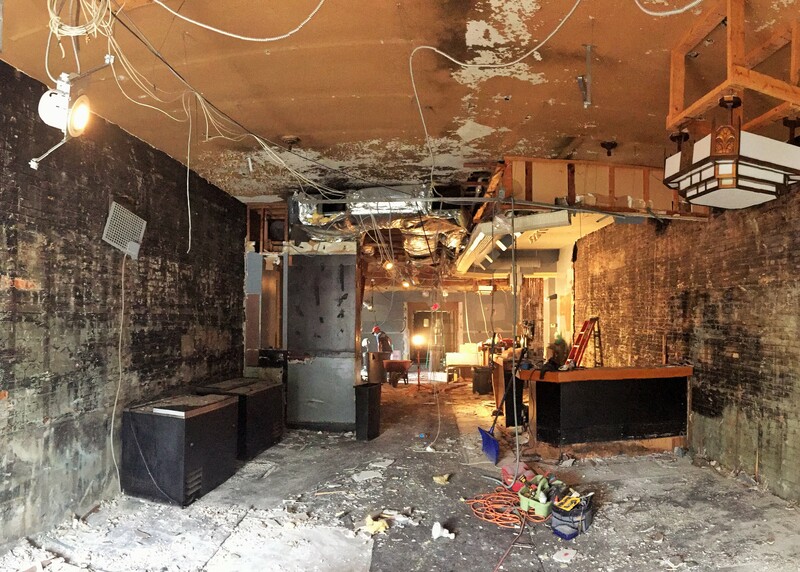 Drop ceilings were removed, wide-plank flooring unveiled, exposed brick walls featured, and plenty of natural and reclaimed woods introduced. Of course, the restrooms and kitchen both received plenty of love as well. 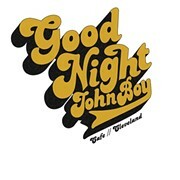 As for the experience, diners can expect a laid back environment featuring a broad menu of reasonably priced fare. “I have a very clear vision of what I plan to do,” Schwartz explains. “It will remain a neighborhood gathering place that will incorporate some of the flavors found at the places that we currently have in our other facilities like One Red Door, 3 Palms, as well as a couple of Rick’s classics like the ribs and coleslaw." In an apparent effort to target almost every diner in the neighborhood – young and old – the expansive menu offers numerous choices in various categories that include starters, salads, sandwiches, tacos, entrees and sides. Dishes mainly stay in the $10 to $18 range, but climb higher for items like a New York strip steak with starch and veg or grilled salmon in a creamy clam broth. 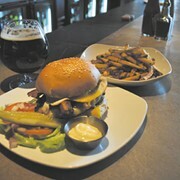 Guests can snack on peel-and-eat shrimp, confit chicken wings and made-to-order guacamole served with house-fried chips. Salads range from simple side salads and health-focused quinoa and kale blends on up to a grilled chicken Caesar. More than a half-dozen sandwiches are built around ingredients like Nashville hot chicken, house-ground beef burgers, plant-based patties, and house-smoked turkey breast. There’s even a banh mi-style burger. A taco section, sold by the pair or trio, ranges from crispy tempura-fried walleye with red cabbage to sautéed wild mushroom with poblano peppers and local goat cheese. Tacos are served on corn tortillas. “Rick’s famous baby back ribs” are here in spirit if not exactly the same format. These bones will actually see the inside of a smoker before getting grilled and sauced. Other main courses include shrimp and grits, beer-braised bratwurst, “old-school” meatloaf with a ketchup glaze, and Southern-style fried chicken with a choice of sides. This being Chagrin Falls, the menu also offers a kids’ section of $7 items. Look for Bell and Flower to open the first week of April.